Jesse McCartney is a famous American actor, voice actor, as well as a singer and songwriter. Jesse McCartney rose to prominence in 1998, when he portrayed the character of JR Chandler in a popular soap opera called “All My Children”. The series created by Agnes Nixon has been on air for approximately 41 years, and has included a cast of David Canary, Julia Barr, Ruth Warrick, Sarah Michelle Gellar, and Brittany Allen among many others. Considered to be one of the longest-running series, “All My Children” has managed to gather numerous awards, including Daytime Emmy Awards, Writers Guild of America and Directors Guild of America awards. Following his acting success, Jesse McCartney ventured into singing and in 1999 joined a boy pop band called “Dream Street”, which consisted of Greg Raposo, Matt Ballinger, Frankie Galasso and Chris Trousdale. With “Dream Street”, McCartney recorded two studio albums, namely “Dream Street” and “The Biggest Fan” and was featured in the film called “The Biggest Fan”. However, the group disbanded in 2002 and Jesse McCartney decided to pursue a solo career instead. In 2004, McCartney debuted with a studio album called “Beautiful Soul”, which went on to receive a Platinum certification from the RIAA later that year. The album produced a total of four singles, two of which, called “Beautiful Soul” and “She’s No You”, made it to the Billboard Hot 100 music chart. Since then, Jesse McCartney has been prominent in music, and in the film industry. 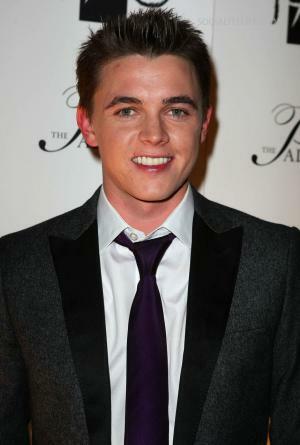 A well-known actor and singer, how rich is Jesse McCartney? According to sources, McCartney’s net worth is estimated to be $8 million, most of which comes from his involvement in the entertainment industry. Jesse McCartney was born in 1987, in Ardsley, New York. By the time that he was seven years old, McCartney had already performed in various local musicals, and later even took part in the play entitled “The King and I” with Ricky Ullman. McCartney’s exposure to the music industry was with the “Dream Street” band, yet he also managed to launch a successful solo career. After the release of his debut album called “Beautiful Soul”, which brought him several Teen Choice Awards, Jesse McCartney released “Right Where You Want Me” in 2006. McCartney’s second studio album spawned two singles, namely “Just So You Know” and “Right Where You Want Me”. The latter song made it to the Billboard Hot 100 chart, where it peaked at #35. Up to date, Jesse McCartney has released four studio albums, the most recent being “In Technicolor”, which came out in 2014. As an actor, Jesse McCartney has starred in numerous film and television productions, including “Hanna Montana” with Miley Cyrus, “Law & Order: Special Victims Unit”, and “Pizza”, starring Ethan Embry, Kylie Sparks and Julie Hagerty. In addition to that, Jesse McCartney has voiced various film and television characters, most notably in “Horton Hears a Who!”, “Tinker Bell”, “Alvin and the Chipmunks”, “The Pirate Fairy” and others. A famous singer, as well as an actor, Jesse McCartney has an estimated net worth of $8 million. 1 I just got a house a few months ago and the upstairs is being done, which is like where I'm gonna be staying, living most of the time. There's two different entrances. I'll have my own privacy - my own space. Kind of be on my own but not too far from home. My family is gonna be moving out probably at the end of the year. 2 Yes, I am a normal teenager...just one that works in the professional world. 3 "I'm giving them all that I have and if that's not enough, then sorry, I'm out of the game. I'll do my own thing-I'll make movies, I'll direct, I'll go to college. I'll do this as long as I can and as successfully as I can with a lot of joy and pride! "-When asked 'Do you feel pressure to live up to everyone's expectations. 4 I have a hard time waking up. No alarm clock works! It sounds childish, but I seriously have my manager, my mom or a buddy of mine wake me up if I have to be somewhere. It's a serious issue! I've been very late for some serious gigs because of it! 5 I don't wanna say I have a temper...but I do! I kind of sulk and sit there when I'm bitter. I won't show you, but you can see it. Probably if you bring me Godiva chocolate, I'll be your friend again! 6 "I went to this dance with some of my friends and there were kids saying 'I know who you are - you're Aaron Carter!' It doesn't bother me if people confuse us. I know we're very different. I am who I am. 7 I had a kissing scene on the first episode of Summerland. I thought it would be weird, but it wasn't too bad. The crew has seen it a million times. Plus, I feel very comfortable with everyone onset. It was harder on Kay, who plays my younger sister on the show. She was only 13 and had her first kiss in front of the camera. Doing it on your own is nerve-racking enough! 8 My music has a blue-eyed soul sound to it. I grew up listening to James Taylor on our family road trips. He's unbelievable. 9 The eyes don't lie. There's something that goes on with the eyes and the sincerity of the person. Luckily I have that knack, which is good because that stuff happens in the business. 10 Bradin is a character that I created. As much as he seems like me, he is very much different. When you're acting, you're given material and you create what you do with it, but you have to stay within the guidelines. 11 I want to go to the top. This business is my life. I'm in for the ride. 12 When I'm singing, that's all me. That's from the bottom of my heart -it's everything I've worked for. When you're on stage, there are no guidelines. No one's telling me what to do! 13 I'm not a phony-friendly guy and I'm usually very quiet and not a big laugher, so some people might take that for rudeness and being mean. If anyone ever got that impression, I apologize. I love all my fans and really appreciate all their support! 14 When I am on stage performing my single, I am thinking about all the girls who are my friends more than anything and are truly 'Beautiful Souls'. 1 Released fourth studio album "In Technicolor" in 2014. 14 He has a rather extensive shoe collection. 15 Nominated for - Record of The Year (for "Bleeding Love") 51st Grammy Awards 2009. 16 Preformed at the Lion-Titans halftime show on Thanksgiving Day, 2008. 17 Was originally going to play Sebastion in She's The Man, but had to pull out. 18 Started performing at age 7. 19 He has Scottish, English, German, and Irish ancestry. Among his Scottish ancestors are his paternal great-great-grandparents, James McCartney and Elizabeth Welch, who were from Angus, Scotland. 20 Graduated high school in New York, June 2005. 21 He went bungee jumping when he was 13. 22 Auditioned for the lead role in The Sixth Sense (1999). 28 Was the youngest member of Dream Street. 29 Has a younger sister, Lea, and a younger brother, Tim. No Strings Attached 2011/I writer: "BLEEDING LOVE"
Step Up 3D 2010 performer: "Up Remix"
G-Force 2009 performer: "How Do You Sleep"
Fish Tank 2009 writer: "Bleeding Love"
High School Musical 3: Senior Year 2008 performer: "Freaky"
Thrillville: Off the Rails 2007 Video Game performer: "Right Where You Want Me"
Sydney White 2007 performer: "Beautiful Soul"
SingStar Pop 2007 Video Game performer: "Beautiful Soul"
Radio Disney Jams, Vol. 8: Bonus DVD 2006 Video short performer: "What's Your Name"
Disney Channel Hits: Take 2 2005 Video short performer: "Good Life", "Get Your Shine On"
Kim Possible: So the Drama 2005 TV Movie performer: "Why Don't You Kiss Her? ", "Get Your Shine On" / writer: "Get Your Shine On"
Radio Disney Jams, Vol. 7: Bonus DVD 2005 Video short performer: "Because You Live"
Disneymania in Concert 2005 Video performer: "The Second Star to the Right", "Beautiful Soul", "Best Day of My Life"
Fat Albert 2004 performer: "Get Your Shine On" / writer: "Get Your Shine On"
The Princess Diaries 2: Royal Engagement 2004 performer: "Because You Live"
Stuck in the Suburbs 2004 TV Movie performer: "Good Life"
SCQ Reload Ok Ako! 2004 TV Series performer: "Beautiful"
Ella Enchanted 2004 performer: "Don't Go Breaking My Heart"